Hurriyat Conference chairman Mirwaiz Umar Farooq on 23 June said that he was deeply disturbed by the brutal act in which Deputy Superintendent of Police (DSP) of the Jammu and Kashmir Police (JKP) Mohammed Ayub Pandith was lynched to death by a mob, adding he was not present inside the mosque at the time of the incident. "The media is reporting falsely that when the incident happened, I was present inside the mosque. I reached the mosque at 12.15 a.m., while the incident had happened before that," he said in a press release. "The incident that happened in Nowhatta outside the Jamia Masjid is the most unfortunate. I am deeply disturbed by this brutal act. Mob violence and public lynching is outside the parameters of our values and religion," he said. Mirwaiz also stated that what the state of Jammu and Kashmir has wreaked on them was largely responsible for this kind of brutalisation. 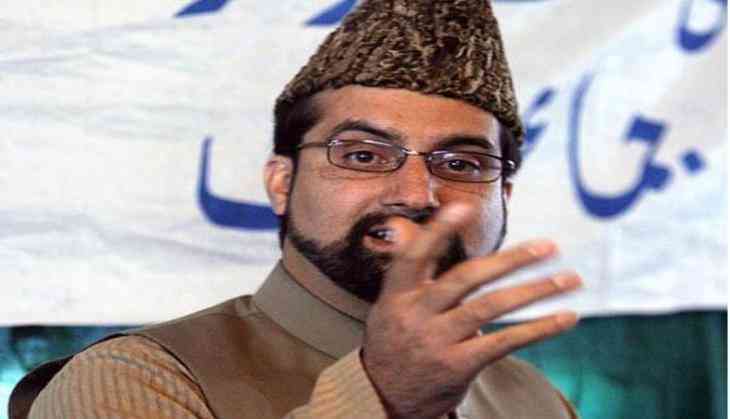 "Mirwaiz said that the violence that the state has wreaked on us is largely responsible for this kind of brutalisation, as the police are being used against the people in the most brutal ways which leads to brutal reactions," he said. He repeatedly said that they had been asking the Indian state to address the Kashmir dispute and initiate steps to resolve it, so that the bloodshed of Kashmiris and those killed at the LoC is stopped, but to no avail. The deceased DSP was on surveillance and was allegedly clicking pictures of people emerging from the Jamia Masjid, when a mob attacked him. After the situation got out of control, the cop in his own defence opened fire, through his service pistol on the mob, in which three people got injured. The angry mob then proceeded to attack him and ended up taking his life. The police have recovered the body of the deceased and are investigating the matter. Meanwhile, the Jammu and Kashmir Police said two people have been arrested and a third person has been identified in connection with the lynching.